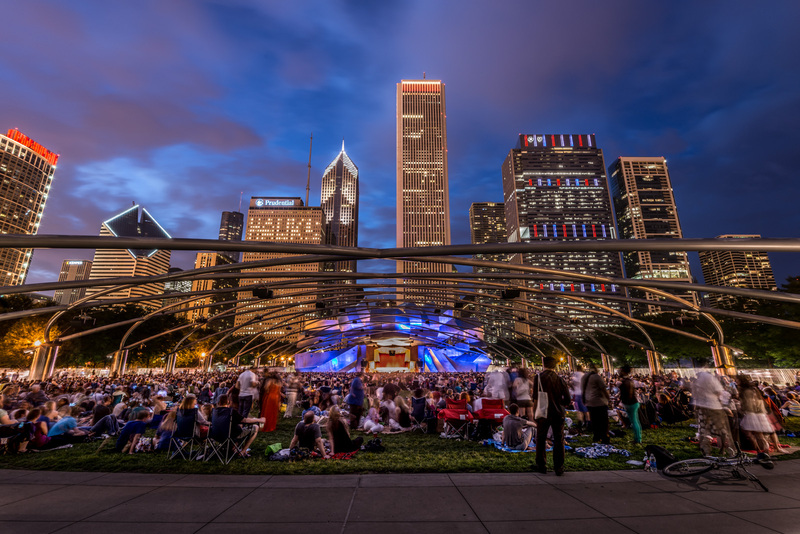 I really enjoy visiting Millenium Park in Chicago, Illinois. It’s got a great location and there is always something interesting to see. One of the centerpieces of the park is the Jay Pritzer Pavilion. The Pavilion consists of the stage, some fixed seating and a large grassy park. Over the park is a lattice of metal which serves both as a design element as well a providing a structure to support speakers. The sound is engineered so that no matter where you sit in the pavilion, you hear great sound. 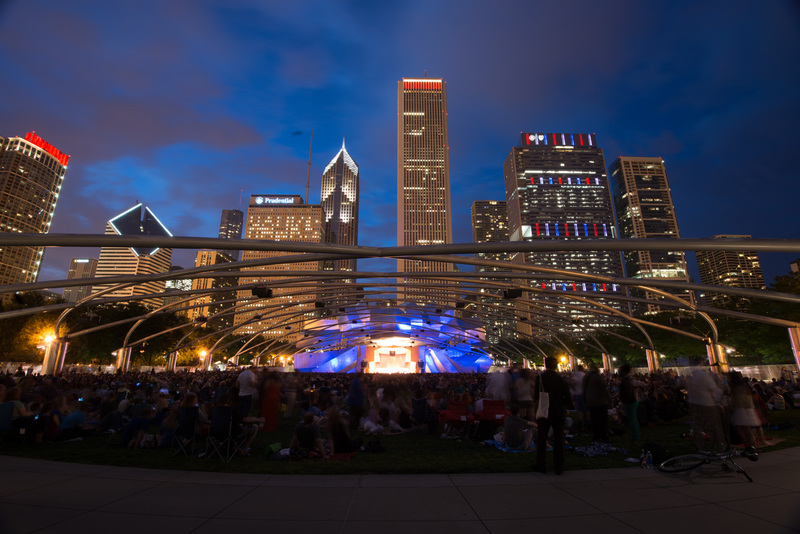 On a recent visit to Chicago, my wife and I took some time to attend a free concert by the Grant Park Symphony. I shot this from the back of the pavilion to try and bring in some of the architecture of the city. The Chicago Blackhawks had recently won the Stanley Cup and this fact was celebrated by the word ‘Hawks’ appearing in the office lights of the Prudential building. The image was a long exposure and I tried not to burn out some of the brighter elements. If you look at the raw image below, you will see that the stage is too bright. I was able to adjust things in Lightroom, however, to give the image a more balanced look. I also used the gradient filter to bring up the exposure on the bottom of the image to help bring the crowd into the image. Finally I did some minor perspective correction using the built in lens correction feature of Lightroom. If you click the top image to bring up the lightbox viewer and then click the next button in the lower left, you can see the effect of the changes I made to the image.